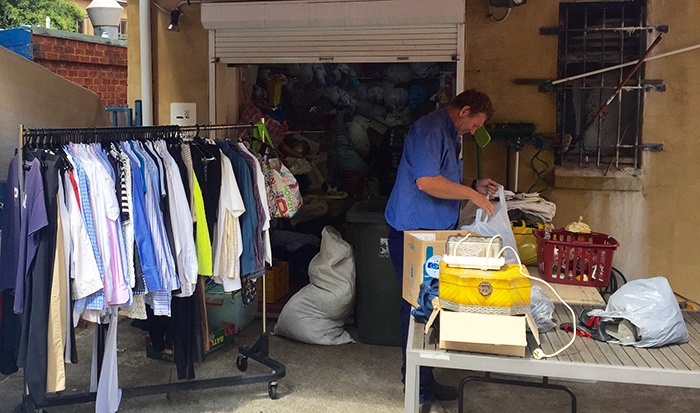 Earlier this week I spent a day volunteering at the Gladesville Salvation Army (Salvos) store in Sydney. At BEcause Australia, employees can take two volunteer days annually to spend at a charity of their choice. Before I started, I didn’t have too many expectations about what the day was going to be like. 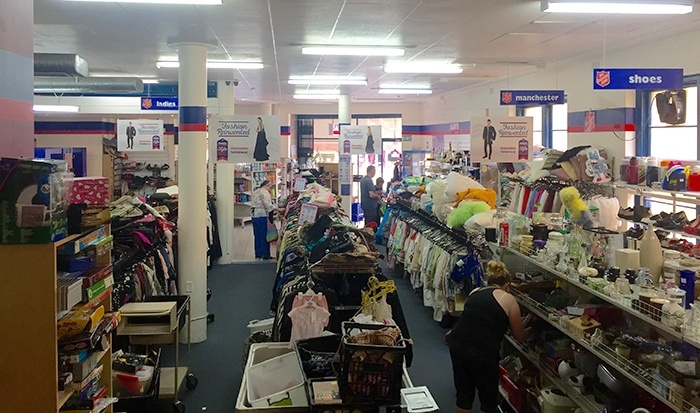 I’m an avid Op shopper and keen supporter of the Salvos, so knew it would be a chance to learn a little bit more about the day to day running of the stores. I was welcomed by the store manager, Nicole. Nicole is warm, kind, funny and pragmatic. She has been with the Salvos for over 8 years and it was easy to see why she has loyal bunch of volunteers who regularly work in the shop. After a cup of tea, I set to work with Nicole sorting through the donations that have flooded in post-Christmas and helping to price them up ready for sale. Sorting through the mountains of clothes, it was easy to understand the importance of people giving good-quality, clean clothes. Some of the items were pristine and would sell like hot cakes, others left a little to be desired. I’m ashamed to say that some people do think that a charity shop wants to sell old, used underwear! I was then introduced to one of the regular volunteers, Diana, who showed me the ropes on the shop floor, starting with tidying up the bric a brac. I was impressed with the quality goods on offer, and had to stop myself from buying too many things. I couldn’t walk past a yoghurt maker at a bargain price of $5. I’m pretty sure it had never been used. Tidying this fixture was harder than I thought, I had grand ambitions of creating a beautiful gondola end display but ended up being happy with matching the sets up and making sure pots and pans were stacked with their corresponding lids! As I tidied away it was interesting to see the diverse customer base that shops in the store. 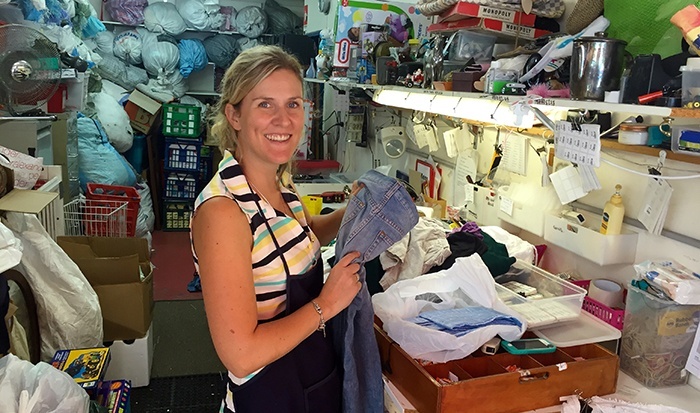 From well-dressed business women browsing the fashion rails to a grandfather and grandson looking for school shoes and job seekers looking for an interview outfit, the Salvos represent and serve their community across a range of different needs. The shop hummed all day with a steady stream of customers, browsing and purchasing, all the while the volunteers moved around them filling shelves, helping to find stray shoes and lending a sympathetic ear. I was proud to be part of their team for the day and help in a very small way to keep the Salvos amazing services on the go, from helping out the victims of bush fires, to providing aged care facilities and youth recreation services. This is just a small selection of the services the Salvos provide in Australia. You can find out more about their amazing work and opportunities to fundraise or volunteer here.